Have you got enough ambition to go anywhere at all? Are you heading to ‘Tarshish’ or to ‘Nineveh’? It’s easy to spend a lot of mental energy wishing we were somewhere other than where we are supposed to be. It can even stretch to physical energy and finances. It’s a waste but you need to understand where your Tarahish maybe: A NetFlix fantasy land? The Facebook site of an old flame? That ‘job in the country’ / promotion / early retirement? Another man’s wife? Once you know where your Tarshish is avoid it like the plague!! Think that’s an overkill? Read Proverbs 1-7. We all need ambition. Ambition is necessary – it’s like the starter engine for vocation (what you are called to do). 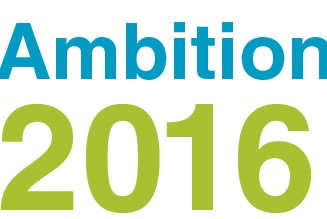 Ambition gets us started. Vocation enables us to get out of the way eventually and makes sure God gets the glory. Ambition takes us up and gets us going. Vocation then surpasses personal ambition and enables us to truly work for the good of others not caring if we get the praise. So pay attention to what you may be ambitious for… If that ambition is not diverting you to your Tarshish it may be the starter fuel for a great vocation. Curious? Want to know more? Paul Bradbury was definitely at his best considering how ambition is a necessary fire-starter for most enterprises. But despite its helpful initial effect ambition pulls us upwards and promotes ourself at the expense of others. By contrast the gospel call is to migrate from this fire-starter of ambition into a mature burning fire with a vocation to bring warmth to others at the expense of ourselves. Those with a vocation humbly step down, as Christ did in the great poem of Philippians 2. So do not be surprised if it takes a little ambition to get you started in the first place and if the ambition never really totally fades despite your nurturing of your vocation. He uses love as an illustration. The Greeks spoke of sexual love (eros) vs a self-sacrificial live (agape). As eros will hopefully over time turn to agape in the realms of love but not negate the eros entirely so ambition is not to be feared and despised, but acknowledged and then surpassed through a selfless ‘for-others-ness’ that may still dovetail with your interests and ambitions in a new and more mature way. Paul Bradbury ‘Escape to Tarshish’ due 2016?